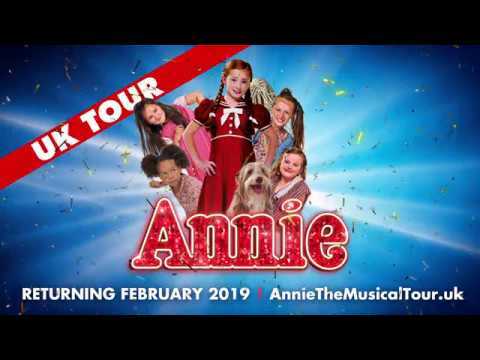 The smash-hit production of ANNIE is coming to a city near you, direct from London’s West End. This ‘glorious revival’ (The Times) stars award-winning actress ANITA DOBSON (Manchester to Bradford), CRAIG REVEL HORWOOD (Southampton to Milton Keynes), or LESLEY JOSEPH (Aberdeen to Stoke On Trent) as the tyrannical Miss Hannigan! and with ALEX BOURNE as Daddy Warbucks.